No matter if you’re just starting out as a photographer, trying to go pro, or simply want better photos than your phone can provide, the camera marketplace continues to offer better and more wide-ranging options and accessories. Though all the different options mean the perfect camera almost exclusively exist for you, it can be difficult to know where to start. Here, I’ll break down cameras in terms of price, type, ease of use, image quality, and which photographers a particular model will best suit. All of this will help your quest for the perfect camera in time for your holiday deadlines. What a blast! This camera-lens combo makes taking great photos fun and easy. Through the electronic viewfinder, you’re able to see your exposure before you take the photo. There’s no excuse for again taking a photo that’s too bright or dark. I’m a big fan of the Mirrorless Interchangeable Lens Cameras for beginners. You have the freedom of setting the camera to auto or learning the manual settings. Plus, you can buy lenses that suit your photographic needs as they inevitably grow and change. For pros on the go, the image quality rocks, you’re able to achieve similar DSLR artistic freedom by buying the lenses of your choice, and the camera is super lightweight and inconspicuous compared to DSLRs. The 56mm f/1.2 lens is awesome. I shoot primarily people, and it was great for that purpose. However, I also carried this combo around the park and got some cool landscape shots. One thing to keep in mind: these cameras have cropped sensors, which effectively doubles the lens length. The lens was about 112mm in use, which can definitely work to your advantage. One factor annoyed me a bit from a professional shooting perspective. It’s not possible to manually control the focus point without selecting that you’d like to manually control it. It means pushing an additional button each time you make an image, which can make the difference between getting the shot and completely missing it. Overall, the Fuji X-T1 is a great camera. You’d be hard-pressed to find a photographer at any skill level who wouldn’t love this camera as a holiday gift. For: The shooter who wants to pull out a camera and start shooting, who wants to outdo his or her smartphone, but doesn’t want to deal with too much weight, size, or any interchangeable lenses. The design of this camera is slick. It’s super cool to hold and use, the attached fixed lens is nice and fast, and you can use manual settings to shoot. The ability to shoot manually means you can learn all the technical basics of photography without investing in an interchangeable system or using a viewfinder. The image quality is impressive. When I took some quick snaps of my dog, I was happily surprised with the detail in his fur. Your phone cannot compete with the image quality of this camera. It strikes me as a camera that would be great for travel. It’s inconspicuous, small, and light. However, this compact is a bit pricey. If you are able to go a bit over your $2,000 budget, I’d recommend buying a camera with more room to grow, such as a camera with a hot shoe (a place to attach a flash or a viewfinder). Good options include the Leica X, or a Mirrorless Interchangeable Lens Camera, such as the FUJI X-T1. If you’re all about luxury, then the Hasselblad Stellar may be worth the price tag. I own two of these cameras, and I could write about it at length. But, I’ll keep it brief: if you’re looking for an affordable camera with a full frame sensor, the D610 is the way to go. You may be wondering why it’s important to have a full-frame sensor. For starters, it records more data than a cropped sensor. So, it’s easier to recover the darkest or brightest parts of an image with a full-frame sensor. You get more range, more colors, and an all-around better photo. The D610 is extremely intuitive and programmable. I have a custom menu with the settings I adjust the most, so I can get exactly the look and photos I desire in no time. You can shoot, adjust the shutter speed, and adjust the aperture with one hand. The ISO is easy to adjust with two. The biggest issue is the placement of the focus points. It’s nice to have the freedom to choose whatever point on which you’d like to focus, but that’s not entirely possible with the D610. Since all the focus points are clustered in the middle, in order to focus on a subject in the bottom left of the frame, for example, you have to recompose your shot after you focus. This is a pain because if your subject moves between the time you focus and recompose, the shot is blown. You’re OK, though, if you keep your subject in the middle of the frame or shoot non-moving subjects. 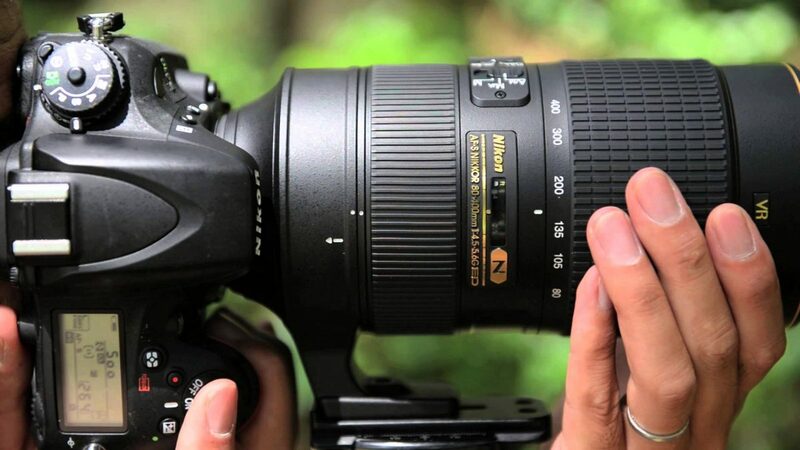 The 70-200m f/2.8 lens is arguably Nikon’s best. It’s fast and produces sharp, incredible images. The backgrounds are dreamy and smooth when shooting on a wide-open aperture. The lens length enables you to stand far away from your subject, which is great for photojournalists. I can’t recommend this lens highly enough. The only negative is the size and weight. It’s a workout carrying that lens around all day, but worth it. If you want to bring your photography game to the next level and maybe even go pro, the D610 and 70-200mm f/2.8 set up is a great place to start. The Leica X debuted at Photokina, the world’s largest photography fair, in September. The camera is simple and fairly easy to use. Most of all, it’s fun. Leica has a history of beautifully designed cameras, and the Leica X is no exception. The camera weighs just over a pound with the battery. Switching from manual to automatic modes is intuitive, great for both the beginner and pro who knows exactly the look she or he wants. The fixed 35mm lens is speedy, with an aperture of f/1.7. There’s no zoom, but that’s not necessarily bad, especially since you can get gorgeous blur with the f/1.7. A huge benefit is the hot shoe and available accessories. You can purchase a viewfinder or flash to take your photography to the next level. While not exactly cheap (the Visoflex viewfinder runs $500), they’re less expensive than investing in interchangeable lenses. Another benefit: after you push down the shutter halfway, the camera shows you the shot exposure. Similar to the FUJIFILM X-T1, this feature makes it difficult to take an overexposed or underexposed image. If you don’t want to worry about interchangeable lenses and simply want to produce beautiful images, The Leica X may be the camera for you.